Chances are if you’ve ever read Rich Dad Poor Dad or browsed through early retirement blogs, you’ve thought quite a bit about passive income! I know I surely have. The thing I like about passive income is that contrary to what many believe it’s NOT limited to just investing in stocks and bonds. 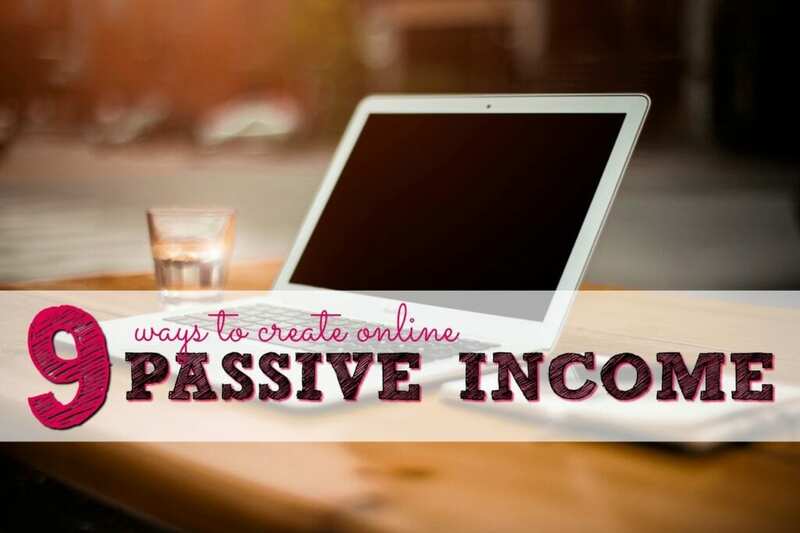 There are plenty of ways to earn online passive income for those of us willing to put in the work. Passive income is money that you earn without trading your hours directly for dollars. You can earn it after either putting up a substantial amount of money or time. For instance, if you invested $10,000 in an index fund that earns 8% you’d make $800 per year without lifting a finger. But to do this you had to put up the $10,000. This example would be using money to earn passive income. Here’s another example – you wrote 5 eBooks on related topics. 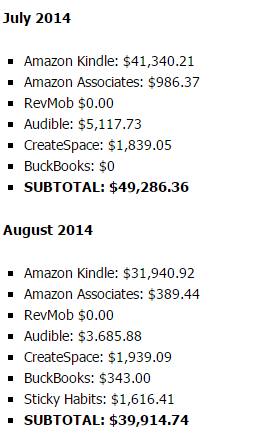 You put those eBooks up for sale on Amazon’s Kindle publishing program. You spent 200 hours writing those books and they’re now for sale for $5.99/piece. Over the next two years you earn $500 per month from your books without ever having to do any more work. This example would be investing upfront time to earn passive income. Now that’s out of the way let’s look at some ways to make passive income happen. If you have a knack for writing, selling eBooks is one possible passive income source. The thing I love about selling eBooks is that after a book is written it can potentially keep earning you money for years down the road. However, it seems that the most successful self-published authors write many books on related topics. If you decide to try your hand at writing eBooks it’s important to remember that you’re going to have to put in a lot of work upfront. This work will include writing the book, having the book edited, having a cover design created, uploading the book to online stores and possibly marketing as well. If you want to get started with eBook creation I recommend you read Write.Publish.Repeat. or checkout Steve Scott’s Authority Publishing Podcast. Have a passion for photography or thousands of photos sitting on your hard drive? If so, you can license your photos. There are 1 billion websites on the internet. (Yes, billion with a “b.”) And a good majority of these sites use some type of stock photography. Because stock photography is in demand there are plenty of places for amateur photographers to sell stock photos. The cons of buying an existing website is that nothing is guaranteed. You could buy a profitable website and then next week Google could change its algorithms and all of your traffic and profits could be gone. This is why I only recommend buying websites to those who have plenty of experience in this field. If you’re interested in buying a website a great place to check out is Flippa. Online courses can be a great way to earn semi-passively if you have knowledge in a specific area and are comfortable creating videos and lessons. There will be a good amount of work upfront to get the material for your course created. The amount of work going forward will depend upon whether you hold live Q&A’s and how much interaction you’ll need to make with your course recipients. You can sell your course through a platform like Udemy.com or Teachable.com or do so on your own website. Just a few years ago creating an app could cost hundreds of thousands of dollars or more. Today, though, app creation has become less expensive if you’re willing to hire a freelancer or do it yourself. Here’s a very in-depth article from Code with Chris detailing seven ways to create an app or have one created for you. Back in 2015 I was listening to a podcast on Side Hustle Nation where a man, Benny Hsu, had earned six figures in six months designing t-shirts on Teespring. And I loved what he was doing. In case you’ve never heard of it, Teespring is sort of like a Kickstarter for t-shirts. Anyone can go in and design a t-shirt and then put it up for sale. If the t-shirt you designed reaches the minimum number of sales it will be printed and shipped (at no cost to you.) You’ll then receive part of the profit for each shirt. If the t-shirt doesn’t reach the minimum order then no one who opted to buy the shirt will be charged. Creating a t-shirt business will require a lot of upfront work learning what designs sell and how to best market them. After that’s figured out this could be a very profitable business that needs just a few hours per week dedicated to it. Owning a drop shipping business involves setting up an e-commerce online store and allowing customers to purchase products from certain manufacturers on your site. When an order is placed, the manufacturer will receive it and ship the product to your customer. As a result, you won’t have to go through the trouble of creating several products yourself. Your main responsibility will be legalizing your business first and taking care of the all marketing and getting the website up and running. Again, you can outsource these tasks to buy back your time. You can read more about how Chonce’s sister set up a drop shipping business here. If you’re good with Photoshop, Excel, or any other type of online image or editing software there are a number of different things you can sell on Etsy or Fiverr. Budget binder printable, planners, wall art and more are all popular items to sell on these platforms. The beauty of selling digital downloads is that you can create them once and sell them over and over again. FAQ: Is Blogging Passive Income? What about blogging? Blogging is often touted as passive and parts of it are but it still requires a lot of work on a weekly basis. Because of this NO, I do not consider blogging to be passive. You can make affiliate sales without being online. Much of the work can be done ahead of time allowing for flexibility. 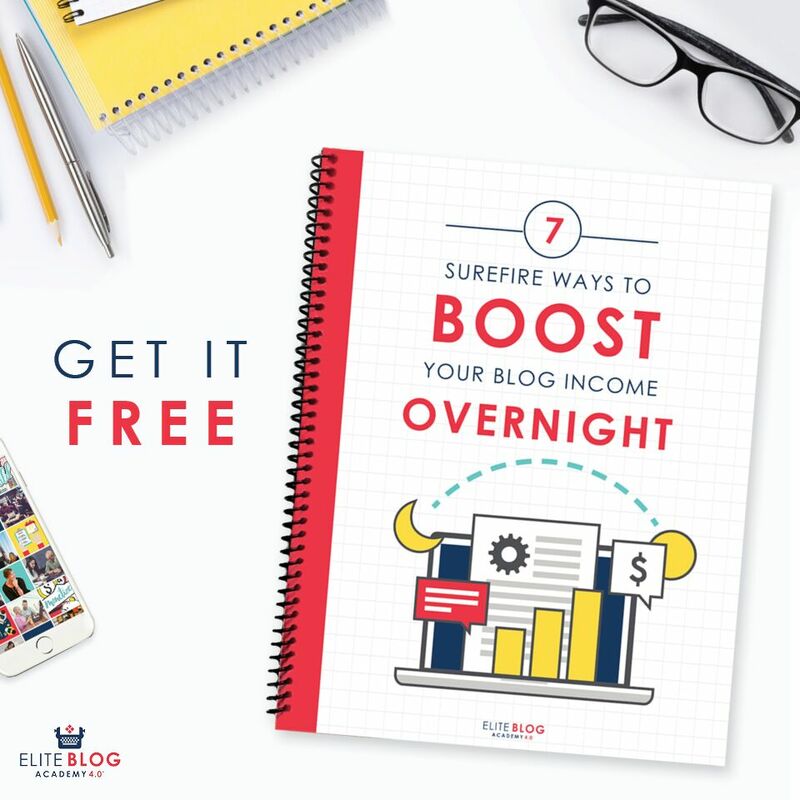 I think one of the main reasons that blogging is often put on passive income idea lists is because you don’t have to directly trade your time for money. Let’s be real – I love the idea of passive income just as much as the next girl. BUT just because the sound of passive income is nice (and it is) doesn’t mean that it’s easy. Creating passive income will take either a big financial investment, time investment or a little bit of both. And it’s important to remember, that at the end of the day there are no guarantees. By all means go out and create yourself some passive income just perform your due diligence beforehand. Don’t go out and invest your time or money on a whim. Do your research first. 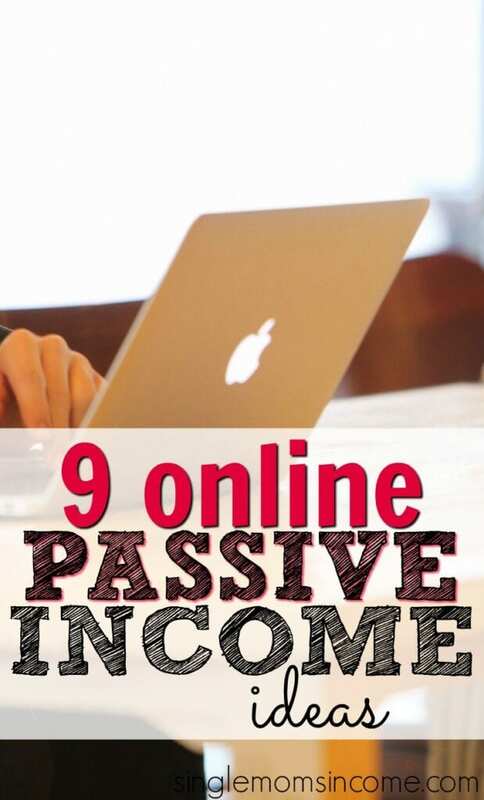 What type of online passive income ideas have you tried out? I agree that blogging is certainly not passive income. Some of the aspects of it may be (ads/affiliate marketing) but you must continue to create new content and drive more traffic to your blog to be successful. I have recently branched out from my blog to create more passive income revenue, namely creating print on demand designs to sell on Etsy and Amazon. I also want to get back into publishing Amazon Kindle books! These are awesome tips, Alexa. Thanks so much for sharing! Thank you Alexa for your hard work and effort in creating this sight! It is informative and well done. I am a baby boomer who is “doing my research” to hopefully make a passive income as well. I surely appreciate your information. May you continue to be blessed!! Yes, blogging is definitely not passive…or at least not for me! I am currently working on creating amazon niche website and I am super excited. Lot of work is pending. I want to make sure that every thing will go on well. Please suggest some tips to create amazon affiliate website and also wish me luck. It takes a lot of work. Check out NichePursuits.com He used to do a lot with those type of sites.